Whether you need a complete lifestyle overhaul or just a kick in the right direction on your journey to better health, a BOMB trainer will help you achieve your goals. One dedicated superstar coach with their eyes solely on you. Personalized Program Design - including all progressions and any individual alterations. The 12 session package is paid-in-full. Monthly payment plans are available for the 24 and 36 session package. These are based on attending a minimum of two or three sessions per week. 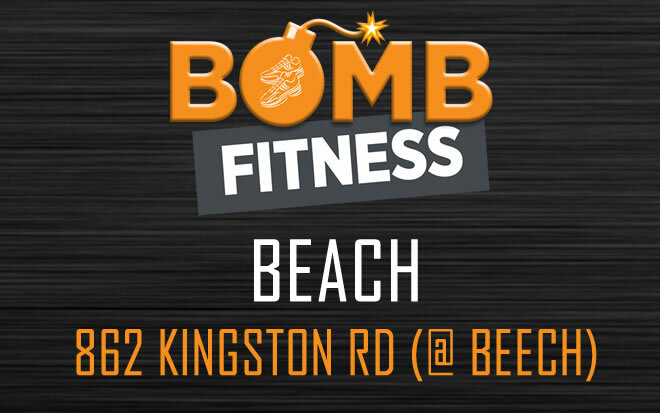 There is no initiation fee, and no requirement to become a group member of BOMB Fitness in order to take advantage of our world-class personal training. But if you do join as an unlimited group fitness member, you could save $180.00! Please talk to us at the studio to find out more! Still not sure whICH PACKAGE is best for you? Mix in with other awesome humans and enjoy unlimited access to more than 100 classes per week at three convenient locations. Train in small groups of 1-4 people with your own program, as superstar coach for each session, all at an extremely affordable rate.